MADISON – Yesterday, the Assembly Committee on Labor held a public hearing on the Healthy Babies, Working Mothers bill (AB 882). 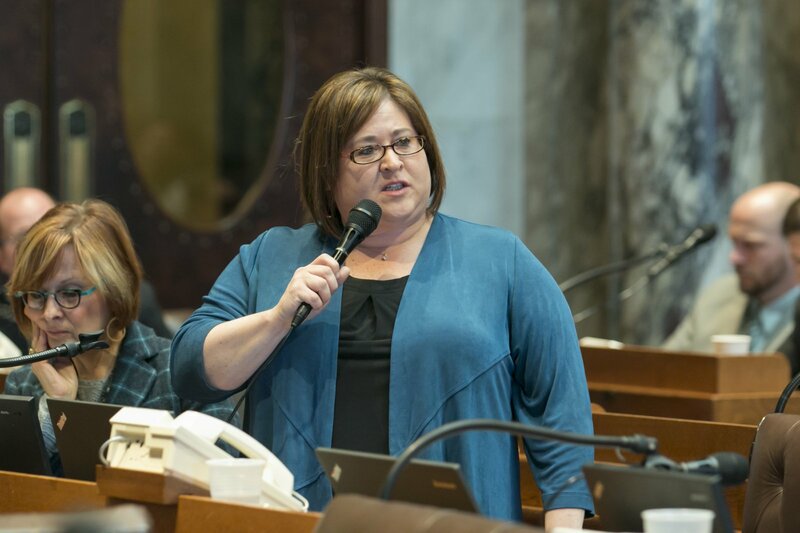 Representative Subeck (D-Madison), along with Representative Joan Ballweg (R- Markesan) and Senator Julie Lassa (D-Stevens Point), introduced the bi-partisan AB 882 to ensure nursing mothers do not face unnecessary barriers in the workplace. The bill would bring Wisconsin law in line with federal employment regulations regarding breastfeeding and provide additional accommodations to ensure that nursing mothers do not have to choose between breastfeeding and returning to work. The bill also ensures that unpaid break time taken for the purpose of expressing breast milk would count toward meeting eligibility thresholds for employer sponsored health insurance. The American Academy of Pediatrics recommends exclusive breastfeeding for an infant’s first six months, with continued breastfeeding as complementary foods are introduced. However, working mothers are less likely to initiate breastfeeding and are more likely to breastfeed for a shorter length of time than women who don’t have to deal with workplace barriers. In 2010, the federal government updated the Fair Labor Standards Act (FLSA), requiring employers to provide accommodations at the workplace which would enable nursing mothers to breastfeed or express milk at work. This bill codifies these changes at the state level and adds critical protections to ensure nursing mothers are not forced to choose between breastfeeding their babies and providing health care for their families. This bill addresses a concern raised by a constituent who lost her health insurance because unpaid breaks to express breastmilk resulted in her total work hours dropping slightly below the minimum threshold for health insurance eligibility. The Healthy Babies, Working Mothers Act was drafted with significant input from breastfeeding coalitions and breastfeeding support organizations, including public health professionals. The bill has received the support of the Wisconsin Women’s Network, Wisconsin Breastfeeding Coalition, African America Breastfeeding Network, Improving Birth, The Milk Mob, Wisconsin Association of Lactation Consultants, La Leche League, Wisconsin Alliance for Women’s Health, AFSCME Wisconsin Council 32, Hunger Task Force, Wisconsin Academy of Nutrition and Dietetics, Wisconsin Association of Local Health Departments and Boards, and the Wisconsin Public Health Association.